Weird the plot changed up like that. These girls sound incredibly annoying! 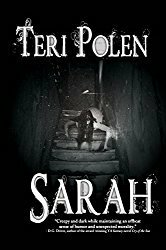 😁 Great review, Teri. Thanks, Jenn! They were so great at first, toughing out the strenuous jungle hike and dealing with all the weird happenings, but then cute guys show up and everything changes. 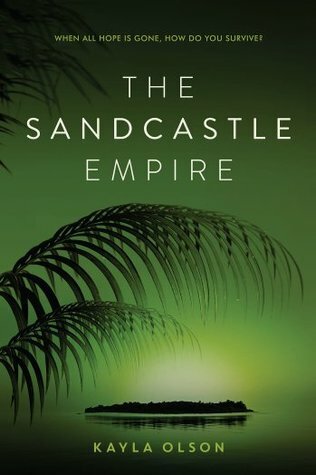 The Sandcastle Empire sounds like a good read. If I’m not in the mood for a romantic read, I can get past distracting romantic elements if the rest of the book is good. Thanks for reviewing it! Romantic elements I can deal with, but I was disappointed the girls changed so much once boys showed up. More of their attention was on the guys instead of the danger they were in. Overall, it was an entertaining read, Priscilla. I haven’t read a lot of YA, but of those books I have (other than Harry Potter and your novels) romance seems to be a key plot point for most of them. Or maybe it was just the few series I chose to read. It will be interesting to see what the members of your book club have to say when you discuss it with them. There are plenty out there that have romantic elements, probably the majority, but it’s not the primary focus. And that’s okay – the romance can be sweet and interesting. But I get frustrated when a character is put in a life-threatening situation, possibly seconds away from death, – and she’s more worried about how her hair looks or what the guy is thinking about her. I’m not saying it was that extreme in this book, but it’s disappointing. With the book club, we all seemed to be on the same page about it, lol. I hope the ending was better than Lost. I’m still bitter that I wasted years on that series with no payoff at the end. Sorry about the romance angle, but I have to agree with Mae. Romance seems to be the driving force in a lot of YA. I still think about that ending too, Staci – I’ve even gone back and watched the last episode a few times. Maybe hoping it will miraculously change, lol? I think sometimes, Teri, that authors get a bit distracted from the main theme of the story. This does sound good and rather unique. 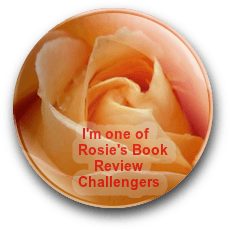 The premise was exciting, Robbie – and it wasn’t a bad read by any means, I was just disappointed in the direction it took. I get annoyed when desperate quests change to romance. But if the book was as as enthralling as you say, i’d squelch the annoyance and continue reading. Yep – I squelched and continued, Jina! I know some readers don’t mind it, Diana, but I thought it took away from the real focus of the story. If you also enjoy sci-fi, this is for you, Jacquie! I’ve got nothing against romance, it’s just that in this case, it suddenly seemed to be a larger part of the story. The suddenly helpless girls were a disappointment, Shalini, but that island was something. So petering out then? Damn! The first half was mesmerizing, Sophie – it just kind of lost me in the last part. Don’t you hate that, when a strong and determined woman suddenly gets helpless? Ugh! And they were doing fine on their own before the guys showed up, Deby.